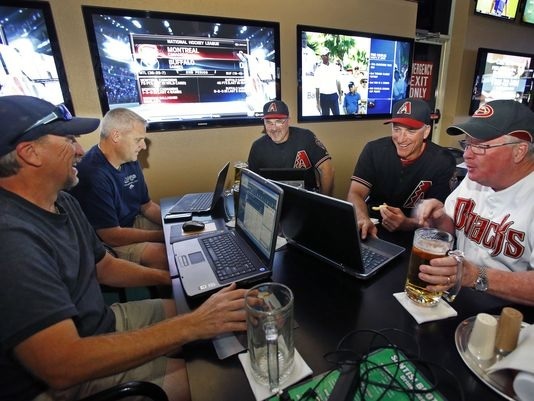 Is Daily Fantasy Sports the Next Online Poker? US online poker refugees left out to dry by Department of Justice crackdowns on the game are increasing turning to fantasy sports to get their gambling fix. Fantasy sports was already huge in popularity, booming online in the mid 1990s as a fully legal form of online gambling, exempted from the Unlawful Internet Gambling Enforcement Act (UIGEA) of 2006. Players draft teams on sites like DraftDay and WarDraft and follow the performance of their fantasy lineup over the course of seasons of play. The pastime having ‘an outcome that reflects the relative knowledge of the participants‘ and being ‘predominantly determined by accumulated statistical results‘, allowed it special status as a skill game (regrettably online poker wasn’t so lucky in being recognized as an intricate strategy game). 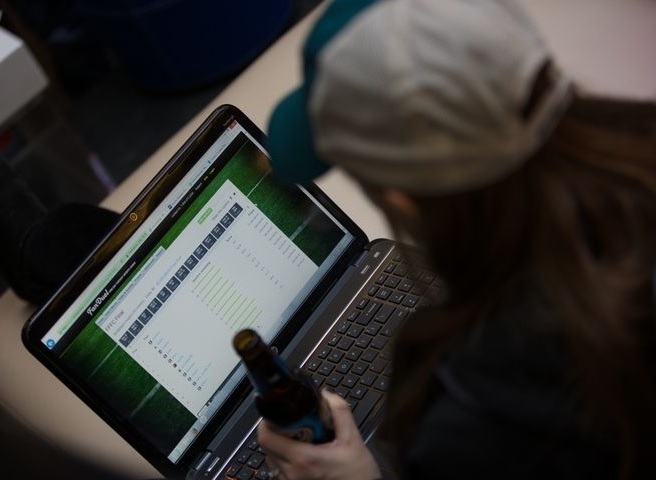 A new twist on the game, single-day play or ‘daily fantasy sports’, has however seen the number of players today further increase to over 40 million, a 25% rise since 2010. With a much lower time investment required, daily fantasy sports (DFS) has found a core fan base in ex online poker players. DFS site FanDuel projects that it will pay out $1 billion in prizes in 2015. These rapid-fire daily games allow for huge payoffs overnight – and although Forbes gaming columnist Marc Edelman sees ‘uncertainty about the legality of these games’ they as yet haven’t been banned since their introduction in 2011. Professor of Sports Law at Florida State Univ. told the NY times ‘on the spectrum of legality to illegality, they’re getting pretty close to the line.’ For now DFS is still supported by partnerships with the MLB and equity investment from NBC and the NBA. DFS sites have a lobby just like in online poker, with ‘sit and go’ tournaments, ‘double ups’, multi-entry events and guaranteed prize pools (GPP). It pays to take risks as just like in poker the payout structure is top heavy. As in poker you can play for pennies or thousands. The top crushers use sophisticated algorithms and spreadsheets, analagous to tracking software such as Holdem Manager or PokerTracker. Sites have mobile apps and celebrity endorsers, the ‘team pros’ of DFS. Poker pro Max Steinberg – with earnings of $2 million on the felt – is on his way to his first million in DFS. He cites the critical thinking skills and learning process in poker as the reasons for his success. Last month an ex-investment analyst who quit his job to pursue DFS won $1 million in a single tournament, a story featured in the Wall Street Journal. Stories of the transition from Wall Street to online poker success are becoming less commonplace than in previous years, a reflection on the state of the industry. It’s currently only possible to play regulated online poker in the US as a resident of one of three states*, Nevada, Delaware and New Jersey. Even then the playerpool is segregated to only other players in that state. Cross-state play or regaining access to the global playerpool at major rooms such as PartyPoker and PokerStars – as was possible prior to 2006 and 2011 – seems a distant dream, although former congress members and the Poker Players’ Alliance continue to campaign for that. A few weeks back we also covered the story of prolific poker professional Tony Pirone returning to the US to swap online poker for daily fantasy sports (DFS) betting, finding similar profits in fantasy baseball. It certainly seems DFS is experiencing a boom comparable to that of the online poker boom, and one spurred on by many of the same faces. Vice labelled it the ‘Daily Fantasy Sports Takeover‘. Poker players can feel even more at home with chances to qualify for land-based poker tournaments while they grind DFS, e.g. 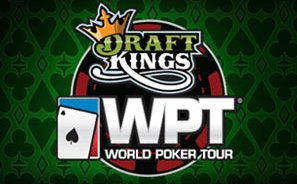 on DraftKings an official partner of the World Poker Tour. For daily fantasy sports tips check out the blogs section of Rakeback.com’s sister site RealFantasyFootball.com. *Players in other states are still accepted at a handful of poker rooms which are not regulated in the US, such as Bovada, Carbon Poker, Americas Cardroom & Juicy Stakes.